We were saddened to hear that actor of Mexican heritage Ricardo Montalban passed away. Best remembered by many in the TV show Fantasy Island, some of us will always remember him for his great role as the genetic superman Khan Noonien Singh, from the Star Trek episode Space Seed. Montalban was also in several of the Planet of the Apes movies but his reprised role as Khan in the 1982 film Star Trek II: The Wrath of Khan, which many sci fi aficionados consider the best Star Trek movie, and one of the finest sci-fi picture of all time. We will miss Ricardo Montalban and his very fine acting that helped make the Star Trek franchise memorable. 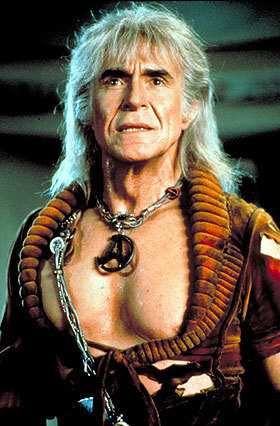 He would have loved the new one (J.J. Abrams directed) which strove to top the Khan legacy Mr. Montalban set with his infamous role.